I offer consultancy services for the athletes who want to take charge of their own training and racing but are looking for someone to help take their plan to the next level. My consultancy service stems from a one off service through to working continuously with the athlete from a day to day point of view. Reviewing current & future training programs/sessions and offering ideas and feedback. Full data analytical review on training, racing, vitals and nutrition (athlete must use Final Surge or Today’s Plan). Help with sponsorship and the business side of the sport. Someone to bounce ideas off. 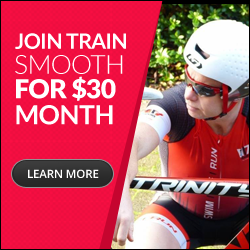 Please email me tim@trainsmooth.com for more information on how I can help you.